Reach our facebook by clicking on our new logo. See you soon! Ain't I cute? Oh please click me! 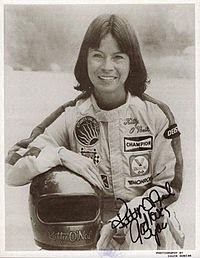 Kitty Hambleton( formerly O'Neil) is the fastest woman on Earth, as she holds the women's land speed record on a car : she reached up to 825.127 km/h, in December 6, 1976. 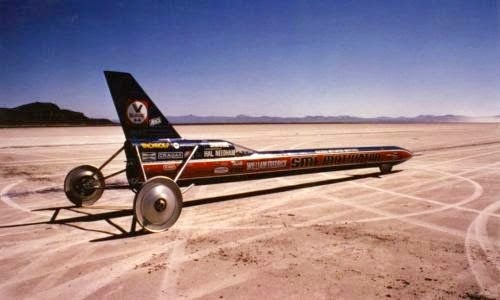 Driving her rocket car SM1 Motivator in the Alvord Desert, she probably even (briefly) reached a speed of 965 km/h, yet, using only 60% power of her car engine. Actually, she could have surpassed the world record, if her contract did not stipulate that she was authorized to break the women's record ... but forbidden to break the men land speed record! Story began in the 1970s, in the heart of a hellish technological battle whose purpose was the world record for speed on a land vehicle. To compete with the previous record set in 1970 by Gary Gabelish, the first man to surpass the 1000 km/h barrier (precisely, 1001.667 km/h), businessman and producer Had Needham and designer-engineer Bill Fredrick planned to create a three wheels mini-rocket, specifically designed not only to break the land speed record, but also to approach or exceed sound barrier. The built prototype (a Budweiser rocket - this name was given to it later), the SMI Motivator, is a tricycle gear tube 12 meters long, not only equipped with a V4 engine fueled with hydrogen-peroxide hybrid propellant (that can develop a power of 48 000 horsepowers), but also an extra booster JATO (Jet-assisted Take-off Unit) formed by a Sidewinder missile stage, developing a power output of 12,900 horsepowers. Kitty Hambleton (yet Kitty O'Neil at that time), was the pilot that had to test the machine in the Alvord Desert, a dry lake in Oregon. And the tests were more than a success, since the rocket literally hovers over the ground at 825 km/h (825.127km/h or 512.710 mph - the official record), probably reaching up to 965 km/h on small portions of the track. 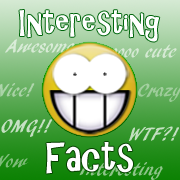 But it may look surprising that with the same machine, Stan Barret later reached even higher speed, in December 17, 1979, recording 1190 km/h on a mile (739.666 mph), and managed to briefly exceed the sound barrier (set at 731 mph at that day). So why Kitty wasn't able to reach such a high speed before? Are women unable to push as strong as men on the accelerator pedal? Real reason is quite pathetic, actually. A deadly record, the man who drank 56 shots... only once.